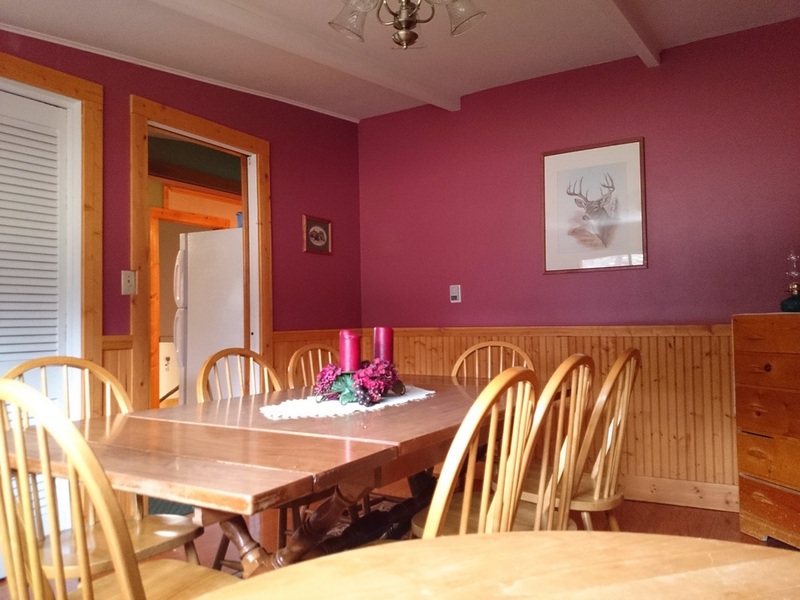 We offer beautiful lodging in a home-like setting that can accommodate a maximum of 14 guests. You’ll enjoy a comfortable night’s sleep in one of our 5 bedrooms. All beds have cozy comforters and extra blankets for those cooler nights; some even have heated mattress pads. We have 3 full bathrooms and will provide you soft cuddly towels and there is always a supply of soaps, shampoos & lotions available if you forget yours. When it comes time for dining you can choose a seat in either of our 2 dining rooms. One is decorated in a woodsy lodge feeling, with a beautiful antler chandelier, while the other is a very cozy home like setting. Wherever you sit, you’re sure to enjoy the views and the company. Check out more images of our beautiful lodge on in the Photos section under the Lodge tab. When you need a break from your scrapbooking, or you just want to relax and visit with a friend you’ll love our gorgeous front room. 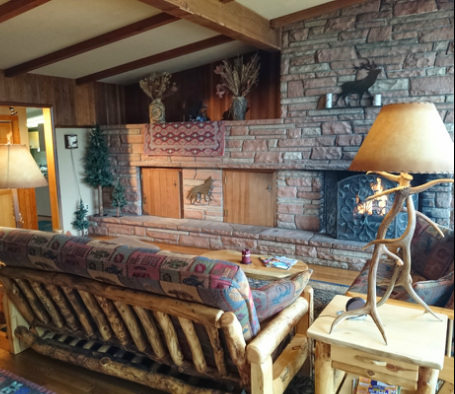 Come sit by our awesome stone fireplace or get lost in the magnificent view of Longs Peak from our wall of windows. Or if you’re in the mood for some entertainment we have 2 televisions with DVD players for some movie watching. If you are more of an outdoors type of person we have a beautiful front patio with a porch swing that just begs to be sat in, plus there are some great walking areas if you want to get out and stretch your legs. To top things off, you can enjoy some time in our luxurious hot tub if you get stiff and sore during your scrapbook marathon.